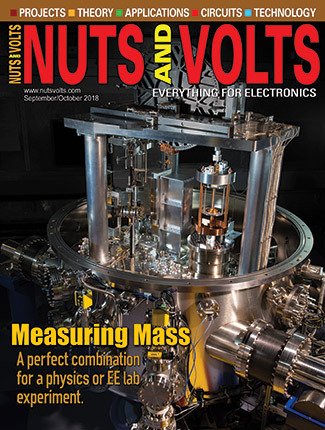 This product review describes a new kit/system that can help alleviate some of the drudgery involved with building surface-mount printed circuit boards. Now, you can be the star and take long exposure photographs of the night sky. If you’ve got some old impulse secondary clocks that are lacking a master, build this project and get them working accurately and electronically. 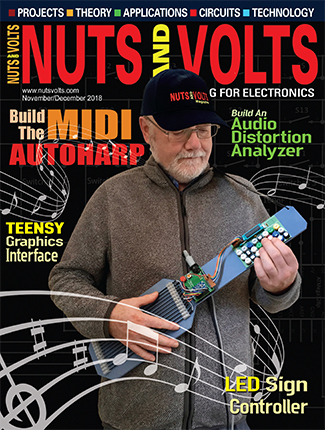 Plus, you can repurpose what you learn to control other items using an Arduino and an IGBT MOSFET device. 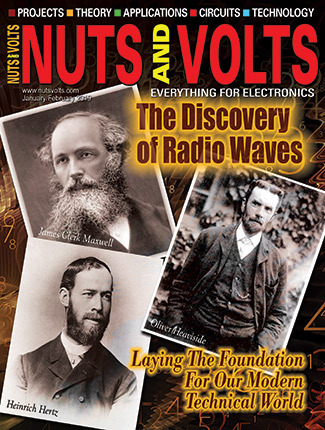 Welcome to the world of wireless know-how in the form of amateur or "ham" radio.Where else can you be an electronics and programming whiz, study solar and atmospheric phenomena, design your own communication system, and provide valuable public service — all at the same time? 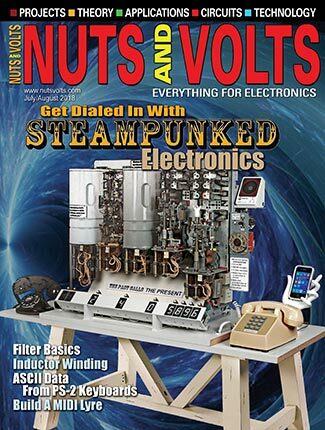 Amateur radio and the Nuts & Volts readership have a lot in common. Let's get to know each other! Learn how to store data on an Arduino UNO so you can use battery-operated devices to collect data out in the field. Anaren is bringing Bluetooth “out of the stone age” with their new web-based tool that lets you simultaneously code an embedded Bluetooth monitor/control application and its associated smartphone GUI app. Cleaning out my workshop reminded me of when I first started my journey in electronics — I had a junkbox with a few dozen tubes, a pound or two of discrete resistors and capacitors, and some miscellaneous hardware.